Most of 1997 and ’98 I toured very little and finished my Sociology degree from The Ohio State University. I was disillusioned and worn out. I was working with three midwest bands (Watershed, Howlin’ Maggie, and Detroit band Hoarse, very few shows with Hoarse, no records of those days) who all had record deals. I figured ONE of these bands will break and take me along for the ride. All lost their deals. Early 1999 I graduated, now what?… I had to get back in the game somehow. I figured getting out of Columbus was the best way to do this, so I planed on moving to Chicago. A city I knew well, had been to a lot and had some friends there, a good spot to get back in the game. Oddly one night while still in Columbus I drove by Chelsie’s, a now defunct rock club in town, and saw the old van Hoarse used to drive parked out front. I knew they had sold it to a Chicago band so I went in but missed the show. 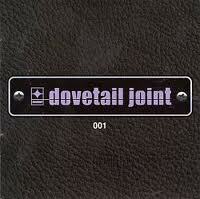 Dovetail Joint were out doing some shows ahead of their record release Level On The Inside, they had no one with them, no roadies, no sound guys just the four of them and some good tours as an opening act lined up. An old friend Chris Lamarca was the house sound guy at Chelsie’s. He knew I was moving to Chicago, introduced me to the band and I was hired on the spot. I did this tour mercenary-style. Again in a van, no tour bus, and the money sucked, $350/week and I was 28 year old college grad, what the hell was I doing? But I knew something they didn’t. I was still in Columbus when I cut my crappy deal with their manager, I was moving in two weeks, and he let something slip in our phone call. 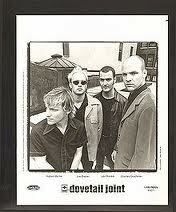 Dovetail Joint were to be the opening act for the Goo Goo Dolls for two weeks. This is where I become a mercenary. I knew an old acquaintance David Ellison former singer for Columbus band Royal Crescent Mob was the Goo Goo Dolls tour manager. I didn’t care about the money anymore I knew if I could get in front of David and re-introduce myself to him THAT would be my ticket back in the game. A bit of a gamble but it worked, and man did it ever (in 2013 I still work for the Goo Goo Dolls). The Goo Goo Doll roadies were all big time, all at least 10 years older than me all and had worked for big bands, I hit it off with them all right away, sniffing around their gear like a hungry dog. They had nice new gear that gear van bands didn’t have and lots of guitars in new and weird tunings. I soaked up everything, picked their brains and at the end of this two weeks they hired me for their big summer tour. The Goo Goo Dolls were getting big and needed another Backline Tech, I was the lucky one. Right time, right place. Later they would joke that they just needed a new drinking buddy (probably true also). The only problem was that Summer tour was still six weeks away, they had to go to Europe and a scheduled tour break first.